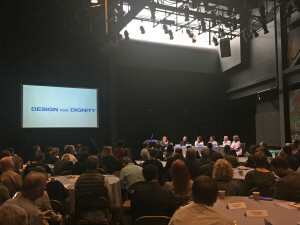 FSY joined the conversation as part of a group of thought leaders convened by the AIA | LA chapter “…. to develop actionable steps…” to help alleviate the severe housing crisis experienced by the City. While Los Angeles is known for being a test bed for innovation, setting universal standards on green building, driverless cars and cutting edge design, it is also home to the now world famous Skidrow. As a sponsor, thinker and especially as a specialist in the affordable housing sector, FSY was able to make important contributions to the dialog.